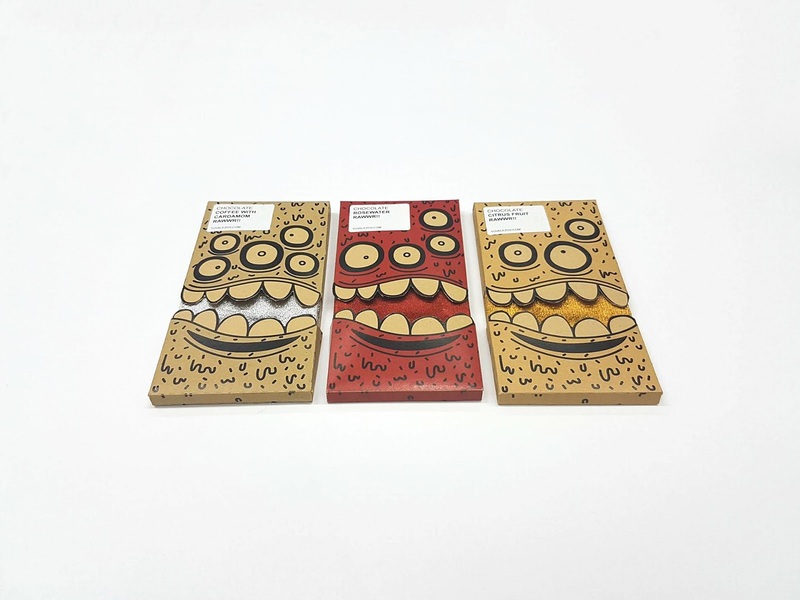 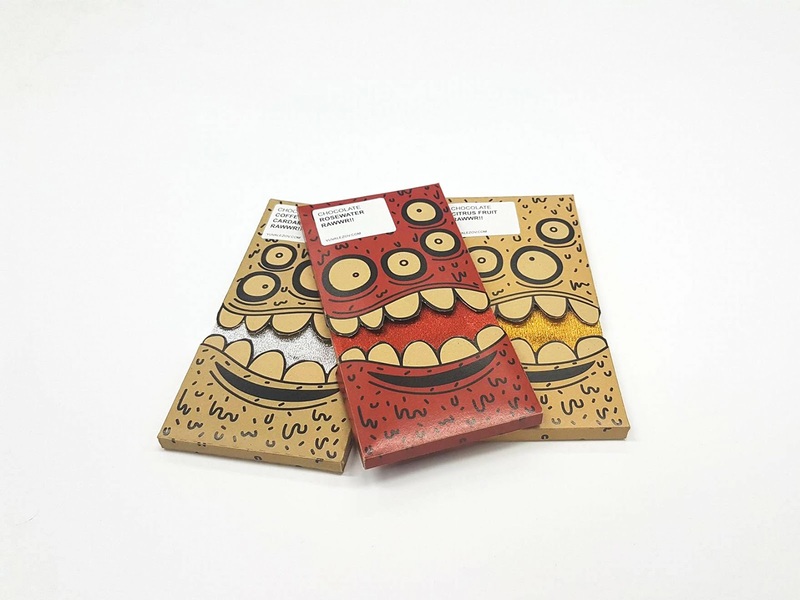 During my course, I had to design packages for Chocolate (100g) for 3 different tastes. 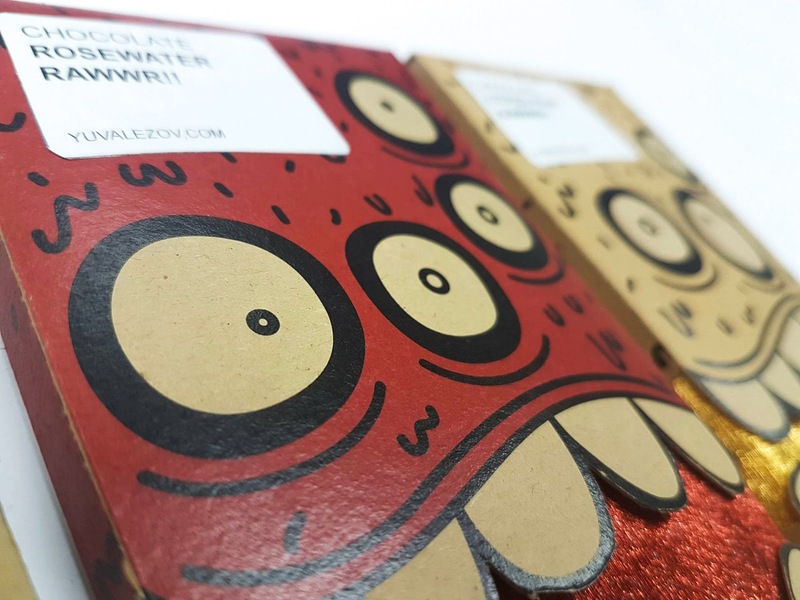 I chose to design it with a new style of my monsters, and called it "Rawwr" like the sounds my monsters make. 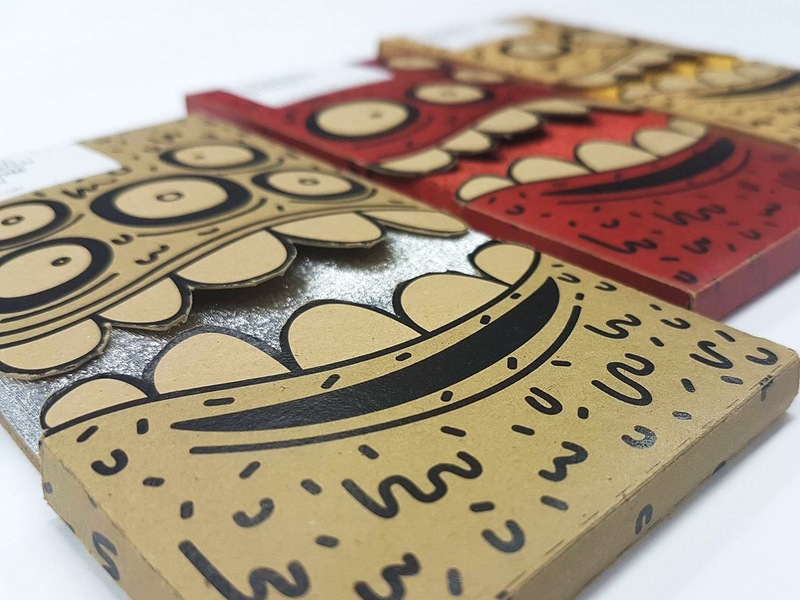 made from craft paper, and white stamps with taste information on the top.